This year, I've been trying to focus on easing into using more "natural" products. I switched to using natural deodorant (currently using Tom's of Maine), I've been using natural soap (working through a Rocky Mountain Soap stash), and I've been plugging away at the No-Shampoo method. There are other areas that I want to work on yet (anyone have recommendations for natural/organic makeup products? ), but I've overall been really pleased with the results of using natural products - namely, less irritation for me, and less waste created. The "creating less waste" part was one of the main reasons I started looking into cloth (read: reusable) menstrual pads. I didn't know too much about cloth pads in general and the prices seemed a bit intimidating, but when Lunapads was running a Spring Sale in April, I decided to go for it and made two separate orders. I personally found diving into the world of cloth pads a little confusing and overwhelming at first, so I've tried to break everything down into Q/A form for anyone curious about cloth pads. I hope my experiences prove informative! 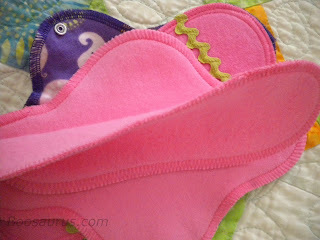 So how do cloth pads/Lunapads work? There are many types of cloth pads out there. Most come in just one piece, but a few, like Lunapads, have a system of inserts being used on a base pad - you change out the inserts during the day while wearing the same pad. The inserts slip under the bands of rickrack sewn onto the pads, and the base pad snaps around the crotch area of the underwear. Multiple liners can be "stacked" on the pads for heavier-flow days. I found this system really pretty easy to deal with. I did find that the smaller-sized pads sometimes tended to slide around a little bit throughout the day compared to the adhesive disposables, but this was to be expected and wasn't a big issue for me (I haven't experienced any real leaks). Lunapads liners - thin but mighty! There are also pantyliners which do not come with a removable liner. These are good for everyday flow, very light flow, tampon/menstrual cup backup, and "just in case" scenarios. There are several ways to go about washing the pads; each order comes with a little instructional pamphlet that makes the process seem much less intimidating (and there's an instructional video with tips on the Lunapads site). You can either hand-wash or machine-wash (or do some combination of the two); I got the impression that it's really up to you and that everyone has their own methods. Once an insert is "full", I simply take it out and replace with a fresh insert (or just take off the top insert if I'm using more than one insert at a time for heavier days). The used insert gets rinsed out in the sink, then put in a Tupperware container with water to soak until I have time to throw the inserts in the washer (in a mesh bag) with a load of laundry. I then air-dry them (I find that hanging the pads and inserts on hangers and then putting the hangers on the shower rod is quite effective and space-saving). If you're away from home and need to change out an insert, there are handy carry bags of varying types that are sold on the site for that very purpose. 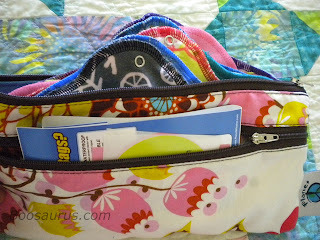 Most have two zippered compartments; fresh pads and inserts can be kept in one compartment, while used inserts can be placed in the second and washed once you're home again. Also a handy place for storage at home! How "discreet" are they to use? Okay, so disposable products can just be thrown away and quickly forgotten. If you're living with family or roommates, can you keep your cloth pad usage on the down-low? And will people be able to tell that you're wearing one? There are several comments on the Lunapads site from women in college dorm situations who successfully kept their cloth-pad-usage private. Technically, you can just rinse them off and throw them into your regular laundry without soaking, so there's really no huge hassle to go through when using them. In fact, this may even be more discreet than having a trashcan full of used disposable products sitting in the bathroom (Bonus: I've noticed far less odor with cloth pad usage). Also, while cloth pad usage might be seen by some in modern American culture as a little odd, keep in mind that disposable plastic pads are a relatively new invention, and that there are many other countries and cultures where cloth pads are very normal. What sizes do the pads come in? Lunapads come in several different sizes corresponding to various needs: Mini, Maxi, Long, Overnight, and Postpartum (the site lists the lengths for those curious). 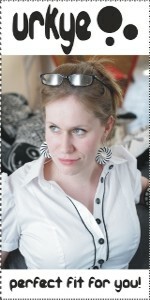 There are also several options for the pantyliners (Teeny, Mini, Thong, Long). The Teeny liners are really quite small, so I would probably recommend the Minis for anything other than everyday/"just in case" days. I personally have and use Mini, Maxi, and Overnight pads, and Teeny and Mini pantyliners. If I had to go back, I would probably exchange a Mini pad or two for a few Long pads; I prefer more coverage just so I don't have to worry about leakage, and the pads do shrink a little bit in the wash. Mini-size pads are more than adequate for average to light days, however. How many pads/inserts do I need? This is really an individual thing and requires some trial-and-error to figure out. The best method is probably to order a smaller kit, or a collection of a few pads/inserts, and try them out to see what your needs would be before investing in a complete set for yourself. As a background, I consider myself to have an average to heavier flow, and pre-Lunapads I'd usually have a period that lasted 5-7+ days. I personally started out by trying the Intro Kit, and then went on to order the Starter Kit. 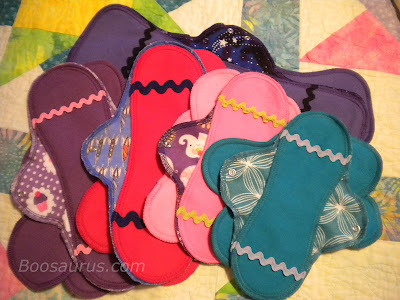 I had assumed at first that I would need many pads and inserts due to the length of my period, but, to my surprise, I actually found that (like many women, apparently), my period has gotten lighter and shorter with the use of cloth pads. I've used Lunapads for 3 months so far, and my period has only lasted about 3-4 full days each time (sometimes followed by a very light day or two). I have no explanation for this, and it won't happen for everyone, but it's an added bonus for me! Because of my shorter period, I've found I'm able to use fewer pads/inserts than I had first anticipated. The liners are also surprisingly absorbent, so you probably won't need as many as you think. 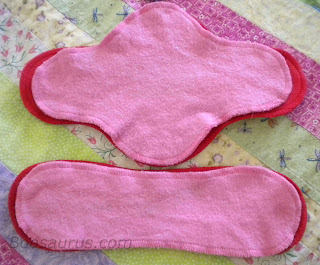 If you have at least an average flow and you're fairly serious about giving cloth pads a try, I'd recommend getting at least a Starter or Heavy Flow Starter kit to begin with, and then filling in the "gaps" (additional liners, pantyliners, nighttime pad) as needed once you've tried the pads out. Remember that you should only need one pad a day, but you'll need multiple inserts. The pads on the site tend to come with around 2 inserts each; if you have a heavier flow, this won't be enough to get you through the day, so you'll either need to use the inserts from another pad and do laundry at frequent intervals throughout your period, or order enough extra liners to get you through the end. Buying extra liners will end up being cheaper than buying several unnecessary pads just to get the extra liners that will come with them. How does the cost compare to disposables? One of the first reactions that people seem to have to the cloth option is "But they're so expensive!" 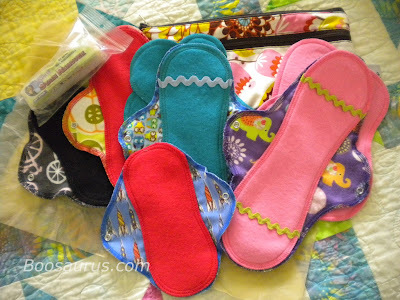 There's definitely a higher start-up cost for purchasing a set of cloth pads over a box of disposable pads or tampons. However, looking at the long-term cost helps put the cost in perspective. I calculated that I spend about $6.97/month on my usual, basic supply of pads (not counting extra or more expensive or smaller packs purchased in emergencies). A year's worth of disposable pads thus costs me at least $83.64. With proper care, then, Lunapads will potentially save me at least $423.78 over their lifetime - and create a lot less trash (as well as trips to the store). They'll end up paying for themselves just before the 2 year mark. Again, this is just an individualized price comparison - yours will vary based on your needs, preferences, etc. The main takeaway is that just like many reusable products, the start-up cost may be higher, but long-term use will result in a chunk of savings. Are there any ways to cut costs? I found that although there's no great savings on buying the Kits vs. buying everything that's included in them individually, the Kits will periodically go on sale (I've seen anywhere from 5-30% off, though 10% off seems most common). In addition, subscribing to the online newsletter will get you a $5 off coupon, and sometimes discount promotion codes will be given out on their Facebook page (keep in mind that you can only use one coupon/code per order). Combine a sale with a discount code, and the savings can be significant. The cost of shipping has to be factored into your order; however, shipping is free on orders over $75 if you're in the U.S. or Canada, so it's worth spending that much to get the free shipping (if you don't need or want to spend that much on pads alone, perhaps you could use a carry bag or laundering supplies). Or, you can check to see if you happen to live near a store that stocks Lunapad products. Lunapads also offers a "free" pantyliner sample for a built-in shipping cost of $5. The total cost for the sample is $5 no matter if it's attached to an order or ordered separately, so it's worth just throwing that into a larger order if you want an extra liner (I was sent a Teeny liner as my sample, but I get the impression that they may send a Teeny or a Mini). Lunapads offers Organic Cotton options in select fabrics for many of its products. These are a little pricier, but you could, say, order extra cotton liners with non-cotton pads separately if you'd like to go at least partially organic. Keep in mind that if you order a Kit, you either need to choose one color option or the Surprise Me option, which will give you a random color assortment, and all the items in the kit must be either Organic or regular cotton. You can also email Lunapads with questions or color preferences for the mix (I mentioned that I would rather not have black liners in my Surprise Me mix, for example), and they try to be accommodating. What about Menstrual Cups as compared to cloth pads? I have not personally used a menstrual cup, but I have heard generally great things about them from those who have! 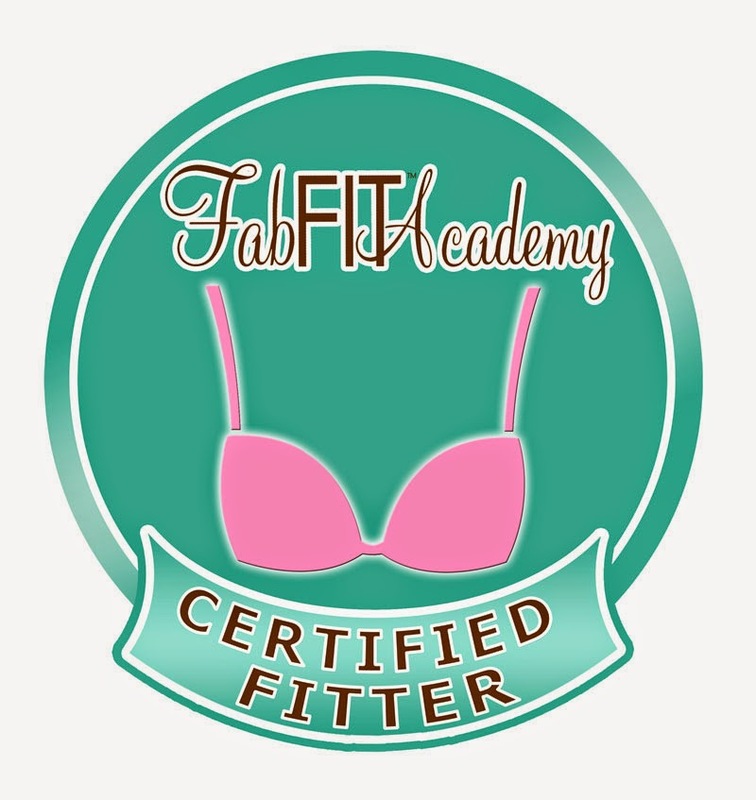 They seem like an especially useful alternative for women with a very heavy flow, very active women, and/or those of us who prefer using tampons to any kind of pad. Another advantage is their low cost; a DivaCup costs $39.99, multiplying savings from long-term use dramatically (even when supplemented with cloth pantyliners). My experience with Lunapads has been overwhelmingly positive so far. Compared to disposable items, the comfort level is much higher, the long-term cost is much less, I'm creating less trash, and I'm not exposing myself to potentially harmful chemicals that occur in synthetic products. I consider myself a cloth pad convert! 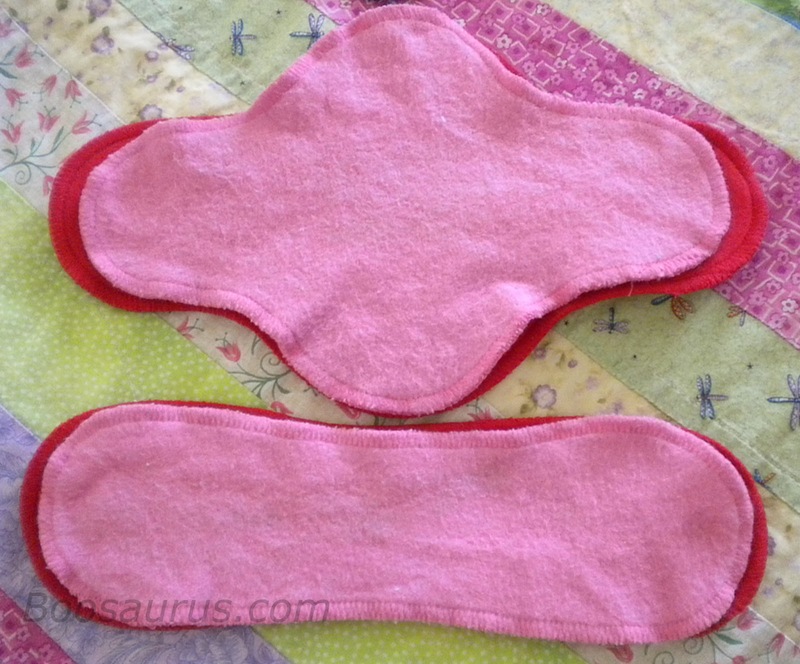 Have you ever tried out cloth pads before? Would you? I'd love to hear your thoughts or questions! Products mentioned in this post were purchased by myself. I am receiving no compensation for this post, and all opinions stated are entirely my own.